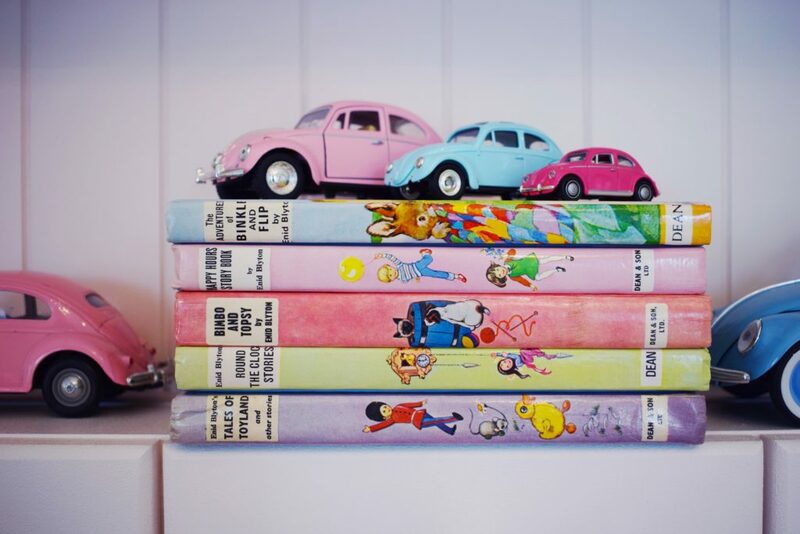 I’ve been a book addict since I was a child and used to drive my sister mad as she was very active and loved to get outdoors whereas my nose was always stuck in a book. 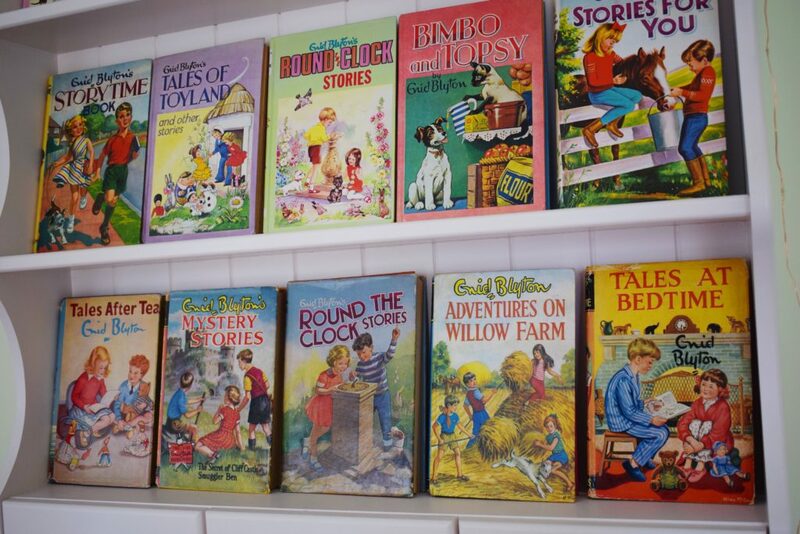 My first love was Enid Blyton and I devoured her books so quickly that I was a regular at our local library. 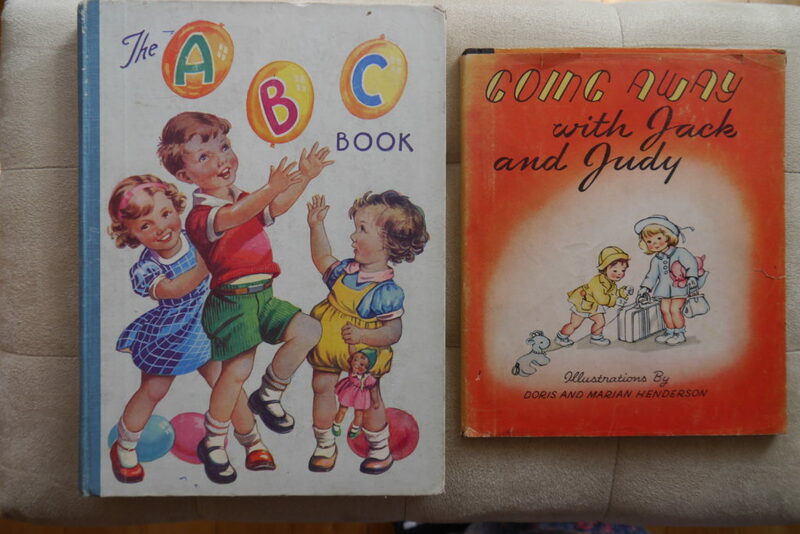 I remember being told off one day by the librarian for bringing my books back the same day as I’d taken them out. I was quite offended as we were very good friends, with me being such a regular customer! 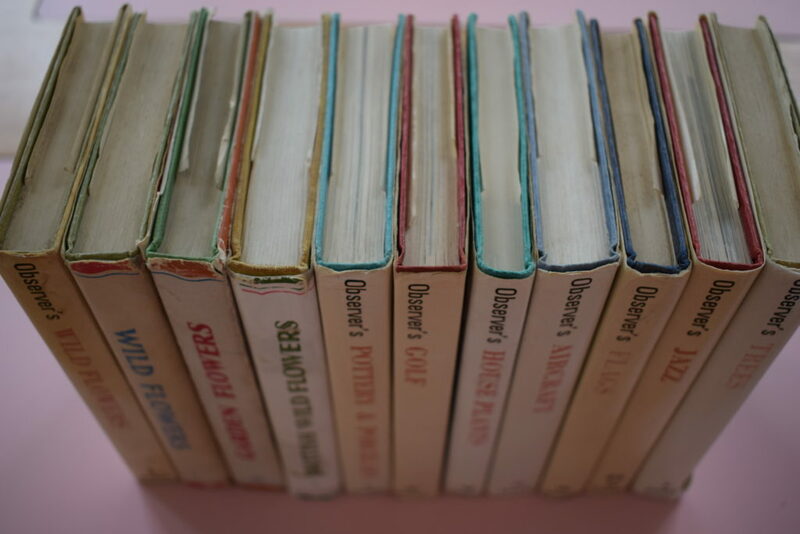 I read my way through every Famous Five, Secret Seven and Mallory Towers series until I’d read every single Enid Blyton book in the library. 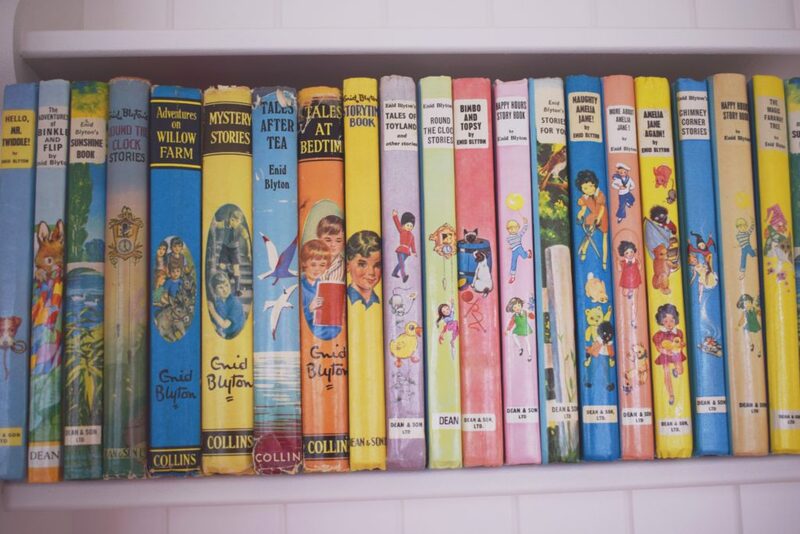 Those Enid Blyton tales of summer picnics, adventures and solving mysteries inspired my imagination and gave me a love of reading that I still have today. 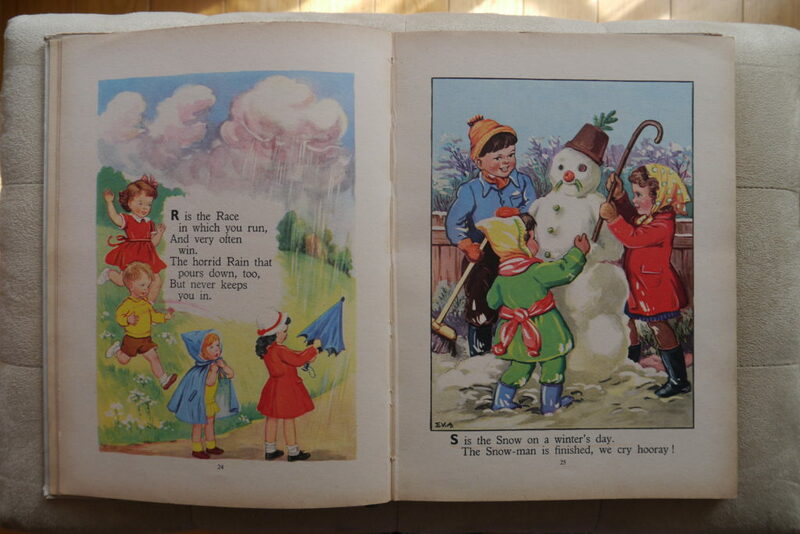 When I look at these old books they evoke such happy memories and feelings of nostalgia and they are a lovely reminder of a very idyllic childhood. We had a large garden next to a river where my sister and I would swim and my friend had a little pony that we used to take turns at riding along the river which proves that I wasn’t ALWAYS reading and did venture outdoors sometimes! 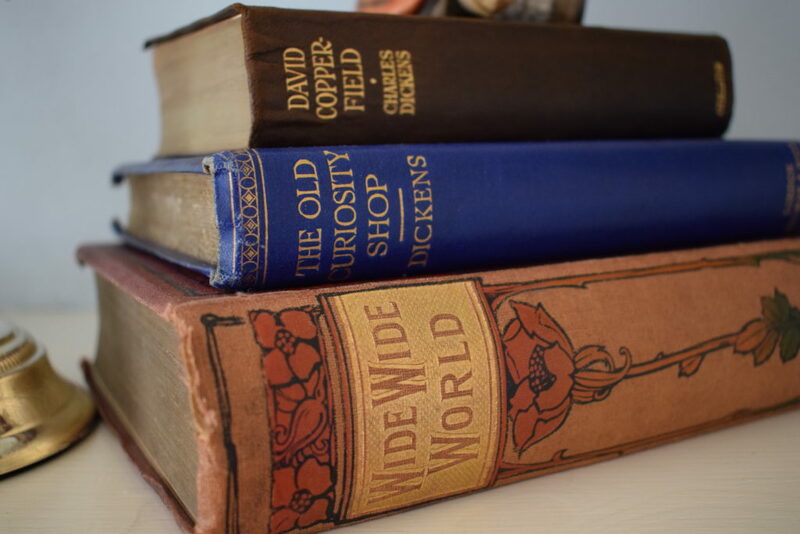 I love using old books in displays around my home and also at times incorporate them into events that I am styling. 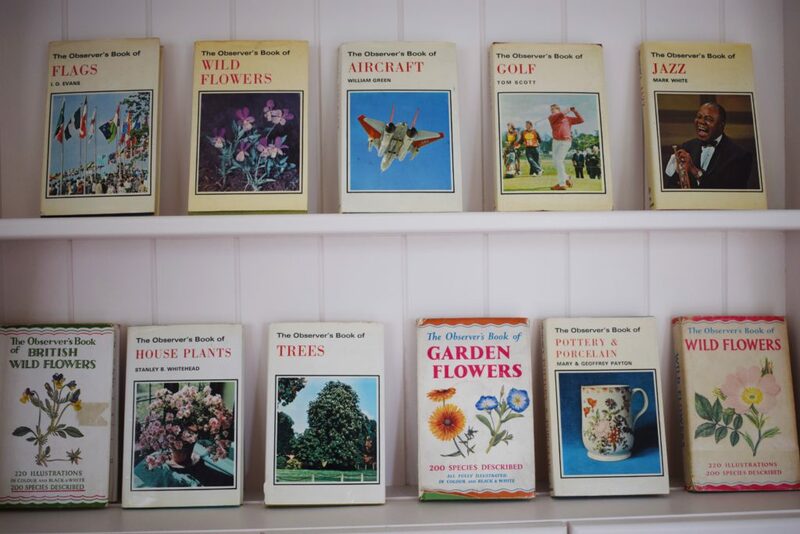 I have worked with the Alzheimers Society on a few projects and find old books very useful as part of the displays. They relate to the long term memory of people suffering from this disease and can bring back happy memories which comfort and reassure. 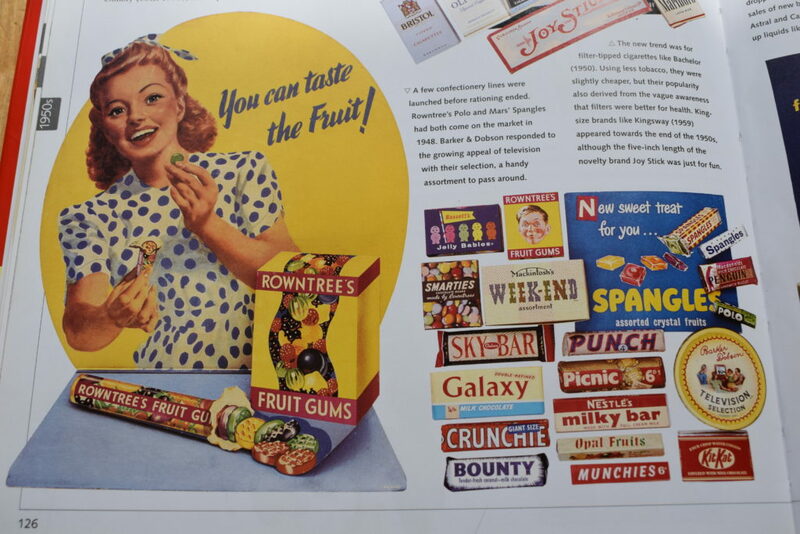 I have a lovely book by Robert Opie called ‘Remember When’ which is full of pictures of old ads, sweets and toys etc. 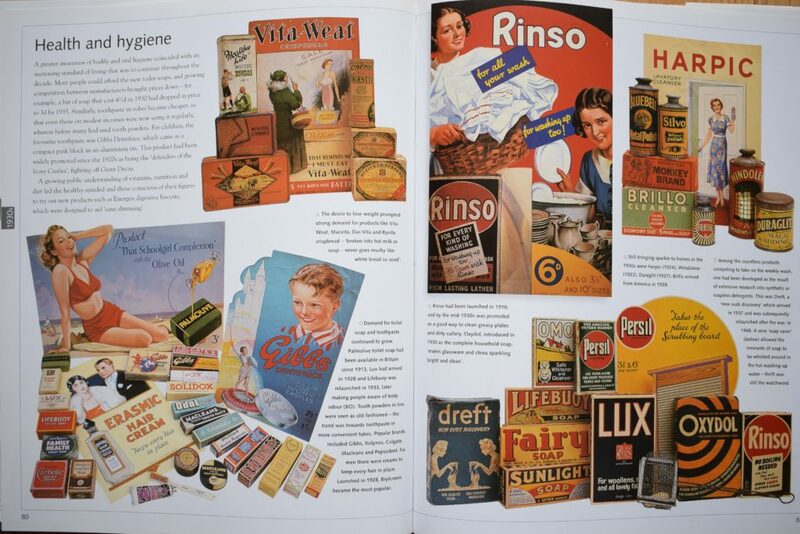 It always proves very popular for people to look through and recognise things which they remember from many years ago. 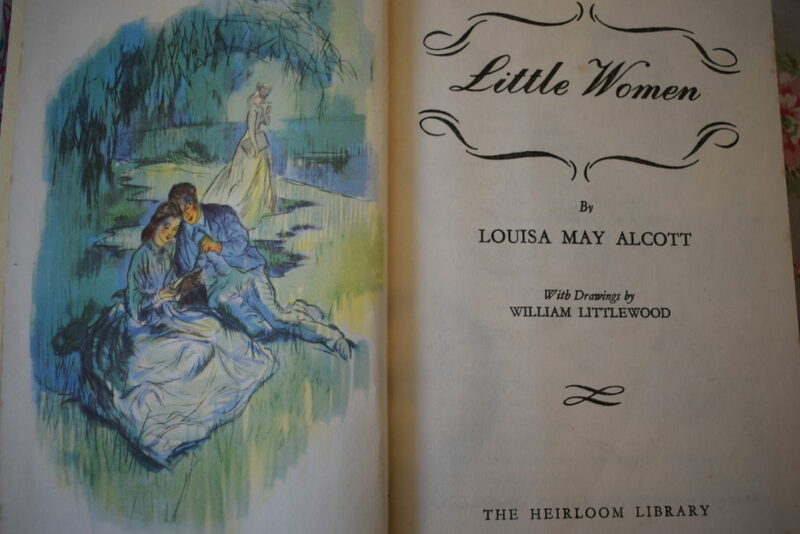 As I got a bit older I loved reading the old classics such as Little Women, Jo’s Boys and Anne of Green Gables was another favourite. 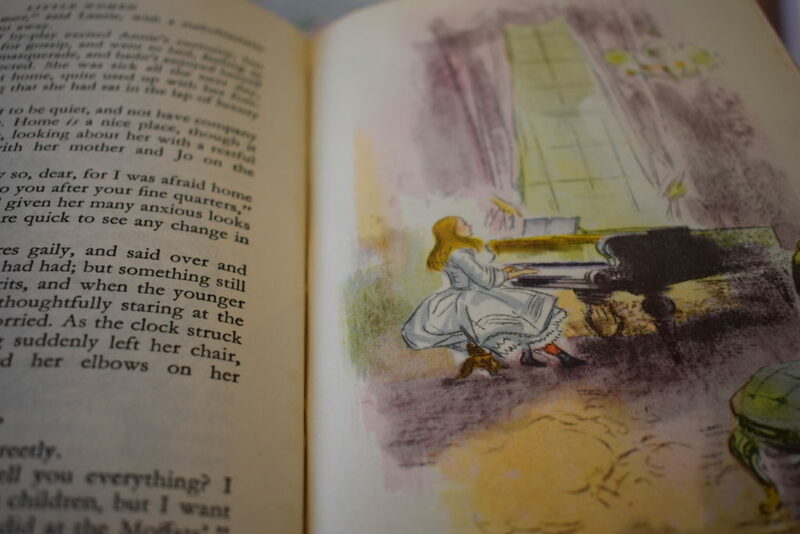 My grandmother had these books and I loved to read them as the characters felt so real and I was so devastated when Beth died in Little Women. 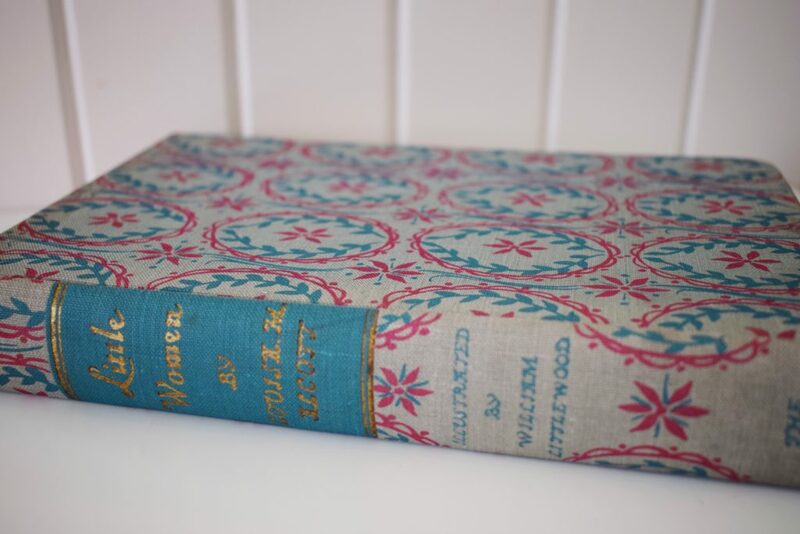 This is a beautiful old edition of Little Women with a lovely cover and coloured illustrations featured throughout. 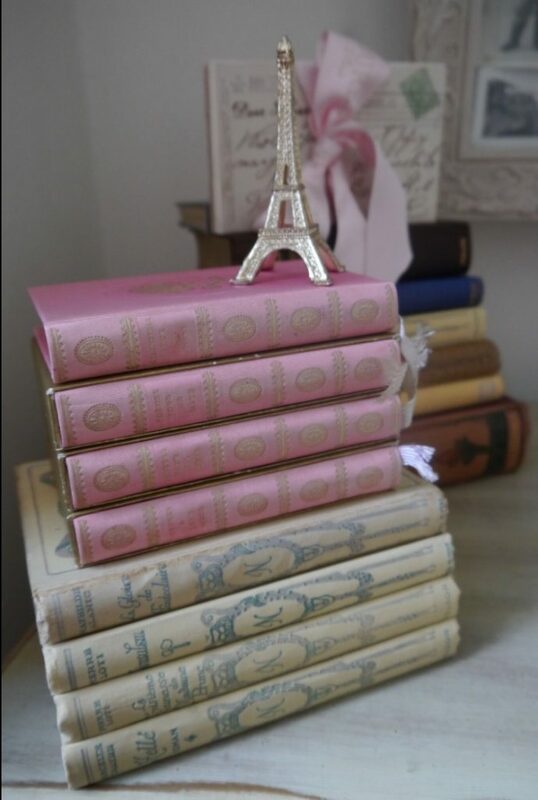 As I am a lover of all things French there are of course some vintage French books amongst my collection and the prettiest of these are the ones which I bought for my daughter from the wonderful White and Faded whom I discovered on Instagram. 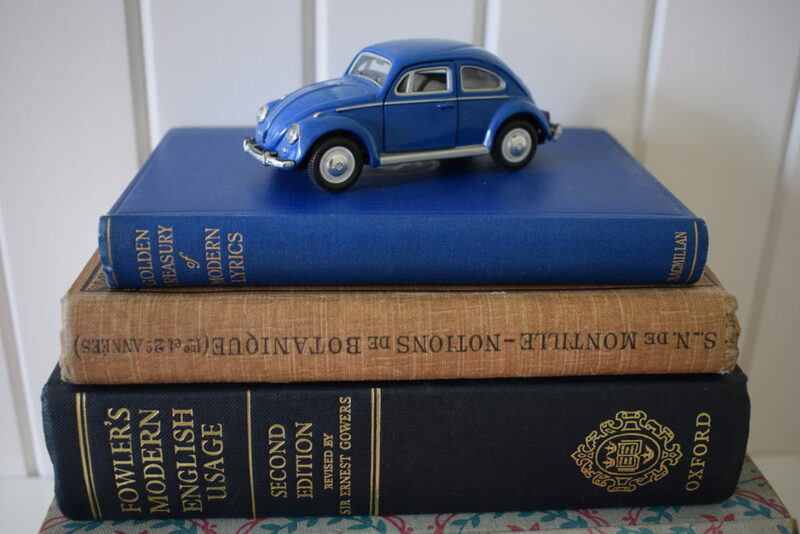 Janet has the most stunning home and sells beautiful vintage treasures in her online shop. 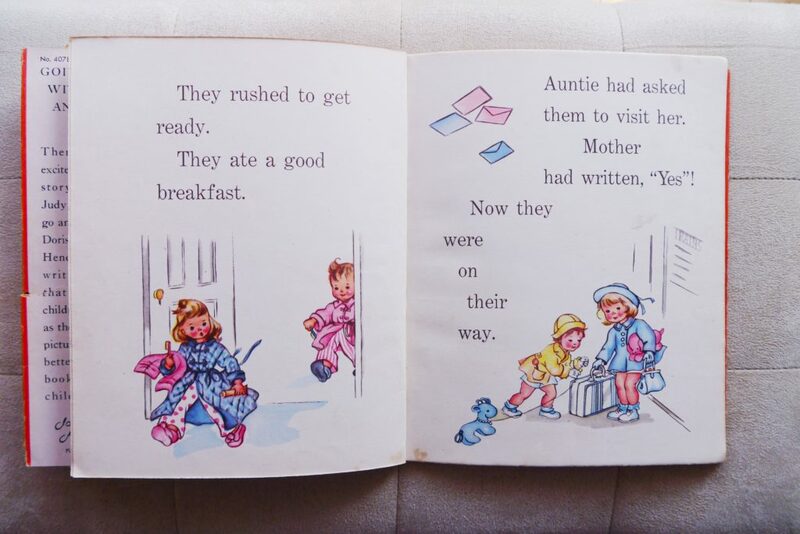 These pink and gold books came in a set of four which each came in their own little presentation box and they are in the most beautiful condition. 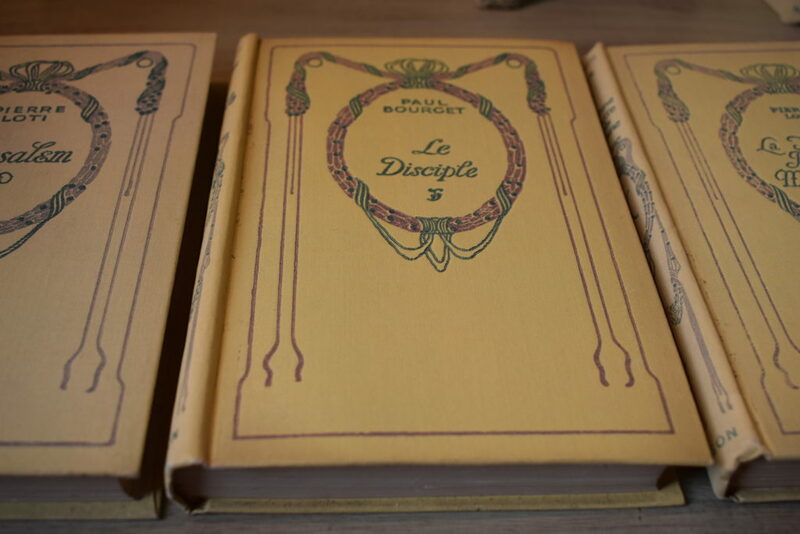 Each one has an embossed golden rose on the front cover and they are the loveliest little books I’ve ever come across. 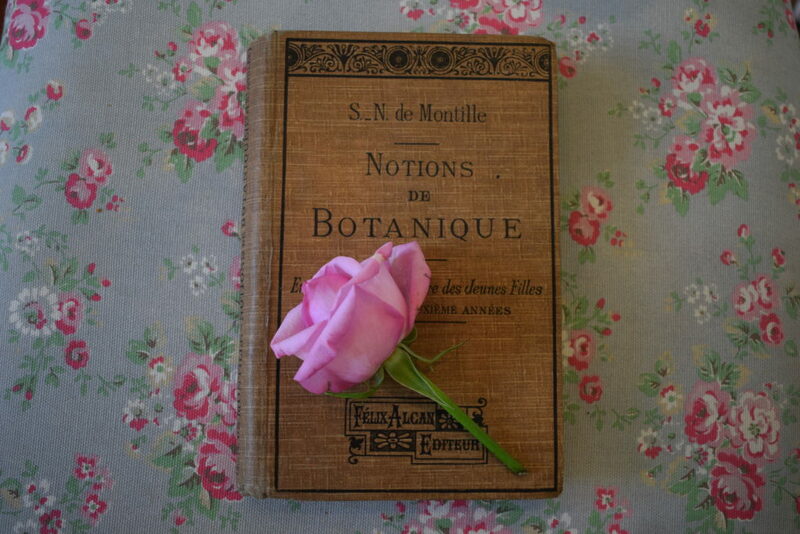 Another book which I love and always have sitting out is ‘Notions de Botanique’ which I first saw on Pinterest and I managed to track down a copy in a second hand Parisian bookstore. 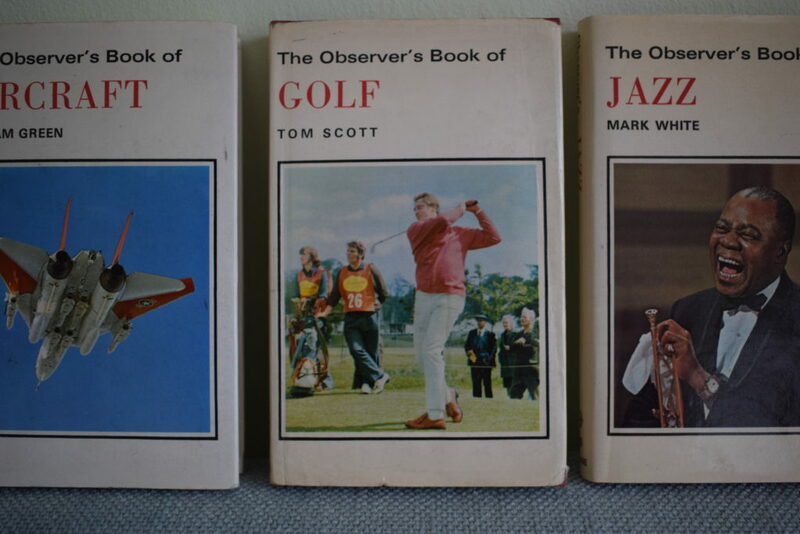 Vintage Observers books are big favourite amongst collectors. 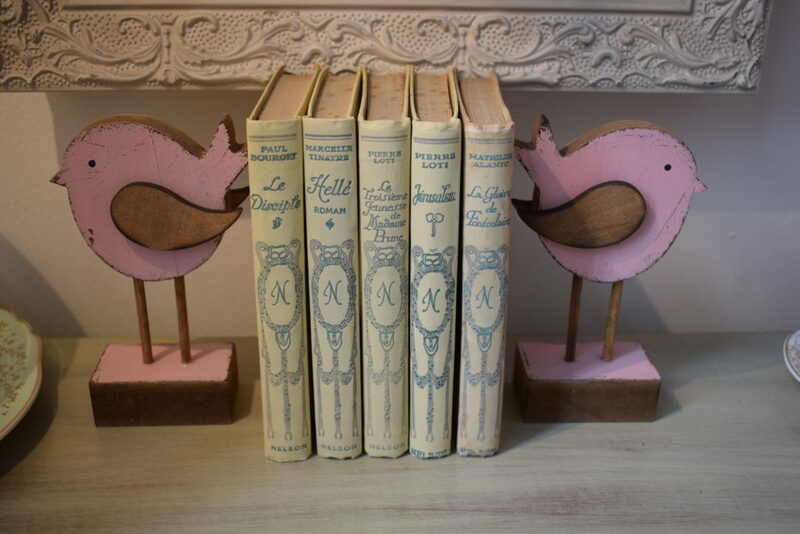 Most people like to display them without the dust covers but I have made a point of only collecting ones with the dust covers still on as I feel they add character and an extra dimension to these lovely little books. 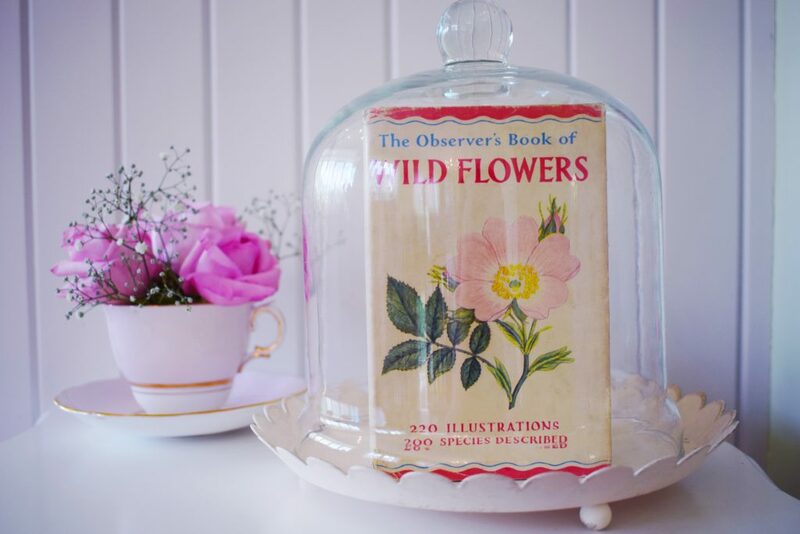 I often use glass cloches whilst styling and think that vintage books are particularly effective displayed like this. 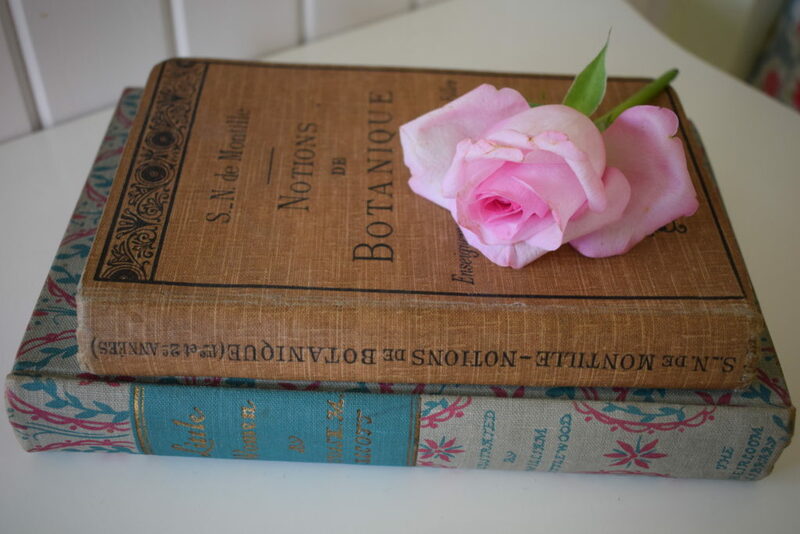 Old books are lovely even to have just sitting around your home as part of a vintage style decor and I often group them into little arrangements. 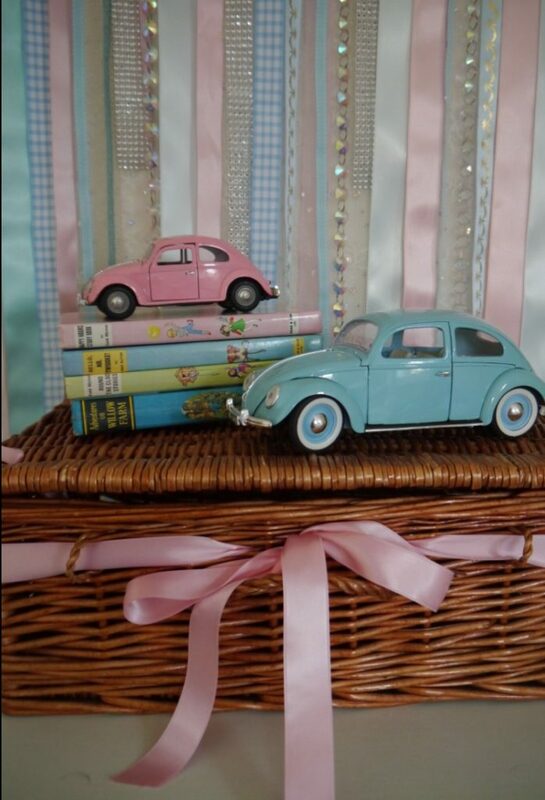 They can also be useful to incorporate into a vintage themed wedding or event. 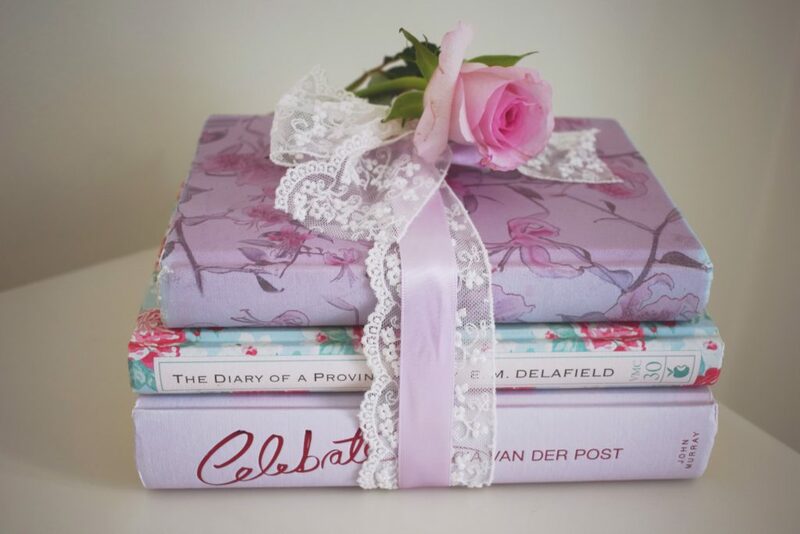 They are lovely used as centrepieces with perhaps a teacup of fresh flowers sitting on top or they look particularly pretty with a ribbbon tied around them. 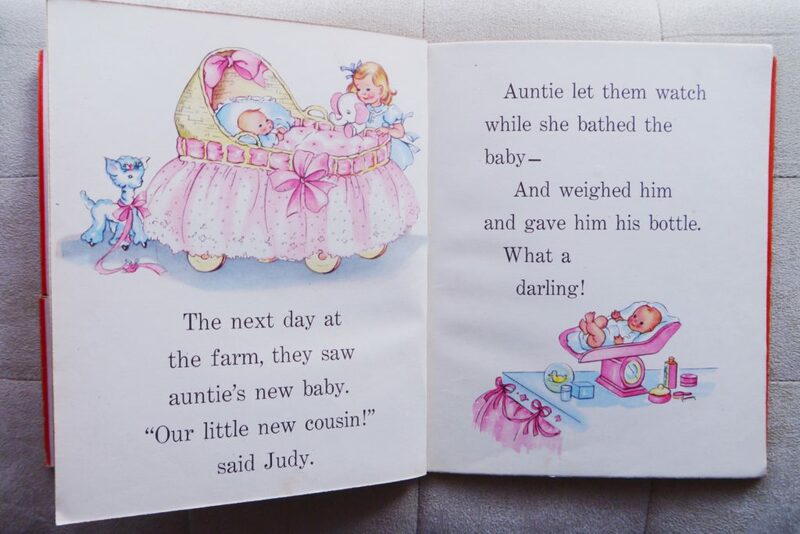 For a recent baby shower I found two old children’s books from around the 1950’s which had the most beautiful illustrations and all the guests thought they were so sweet. It’s lovely when at an event these little touches prompt conversation amongst guests and I always try to create little displays which encourage this. 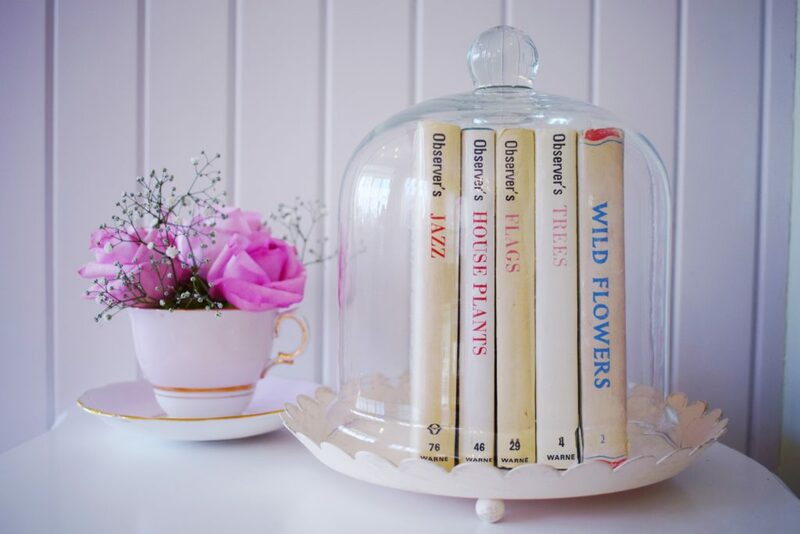 Hope these have been some useful little tips for displaying any lovely old books you may have lying around or hidden away in a cupboard! 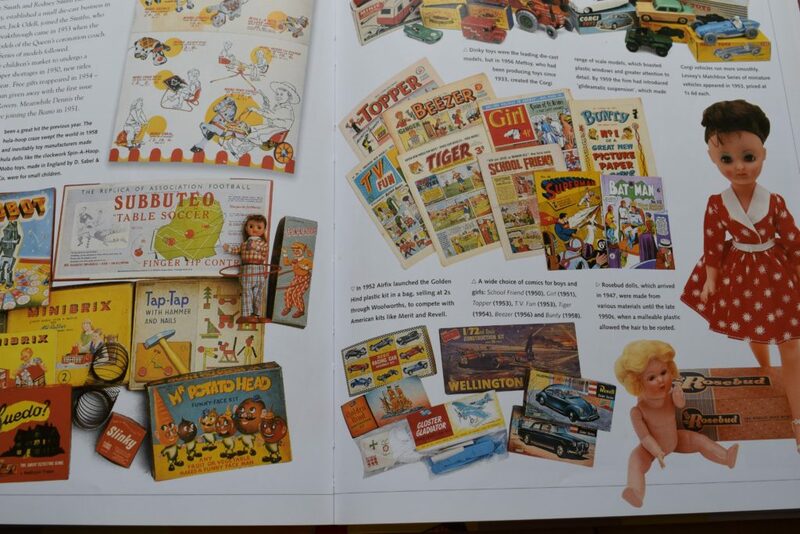 They give a unique touch to any home or event and it’s amazing what you can find in boxes in your loft or garage. I love finding old treasures which I’d completely forgotten about. 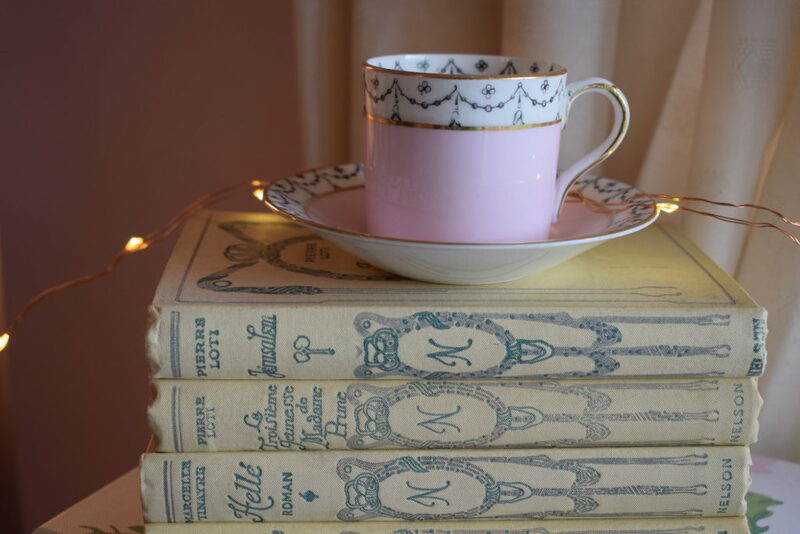 I loved reading about your vintage books and displays. 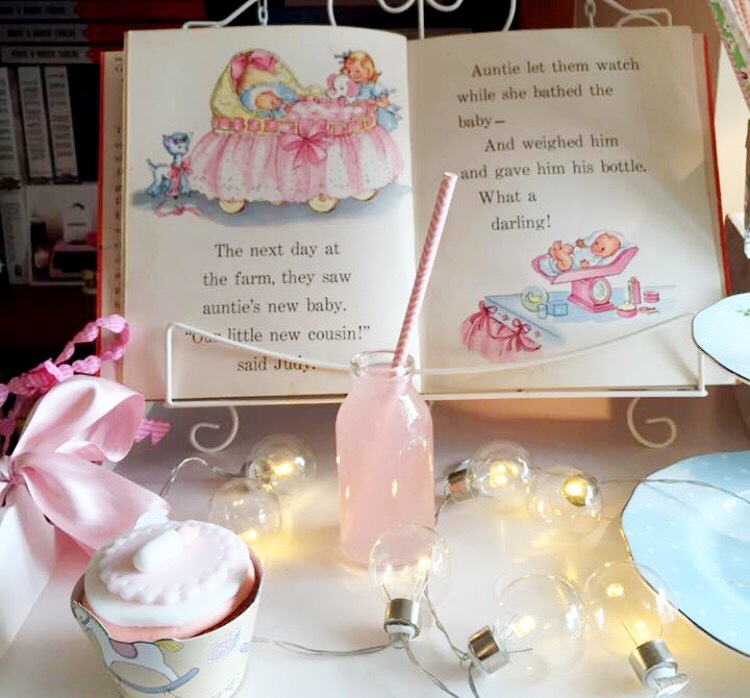 So enjoyed reading this gorgeous post, love all the photos!